A Dean at the School of Communication, Lagos State University (LASU), Professor Lai Osho has urged media organisations in the country to desist from giving voice to disruptive issues but rather use their platforms to help citizens build consensus. 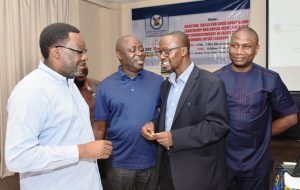 Osho gave the advice at a three-day retreat organised by the Lagos State Government for Correspondents covering activities at the Governor’s Office, held at the Golden Tulip Hotels, Festac. Professor Osho who said that as development partners, the media has the responsibility to report good governance, added that journalists and their employers should desist from what he termed “dangerous discusses” in the bid to increase ratings, draw traffic to their websites or sell newspapers as the case may be. “The media must provide a space for consensus building. There’s too much confrontation, opposition and threatening messages. You’ll find out that some of our so-called leaders, the way they present issues tend to antagonize other people. I don’t think media organisations should lend their spaces to such dangerous discusses”. “They must try to look at people with moderate views that can build this country, while as much as possible shun cantankerous discusses that we have in the country,” Osho stated. On the issue of objectivity which is one of the ethics of the profession, the Don who admitted that it is sometimes difficult to avoid bias because of pecuniary factors, however, appealed to reporters to always ensure balance. While canvassing better working conditions for journalists in the country, Professor Osho decried the commercialisation of news. “There are organisations now that have turned their reporters to marketing officers. That is against the ethics of journalism. News is the heart of any media organisation, if you have good news, advertisers will come,” he said. 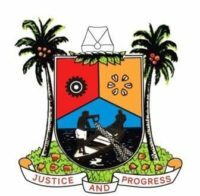 In his welcome address, the Chief Press Secretary to Governor Akinwunmi Ambode, Mr. Habib Aruna said that the three-day refresher course was organised because of the dynamism of reporting events at the State House and the need to furnish correspondents covering the beat with information that could enhance their reportage. He said Governor Ambode believes in the growth and development of the Nigerian media, hence his reason for approving the retreat for the correspondents covering his office, not only to enhance their skills but also do so in a more relaxed and serene atmosphere. Also speaking at the event, Commissioner for Information and Strategy, Mr. Steve Ayorinde said the training was meant to upgrade the skills of correspondents covering activities of government for better performance. He said that journalists covering the Government House must display in-depth knowledge of their beat and must be a step ahead of others in reporting the day to day activities of government. The training spanned across various topics including the role of correspondents in achieving good governance, effective social media practices, techniques to overcome writers’ block, time management and health talk, among others. The event was rounded off with a dinner and gala night that afforded participants to unwind and network.